Ten and twelve years old. Lately there has been a lot more arguing than playing between these boys. 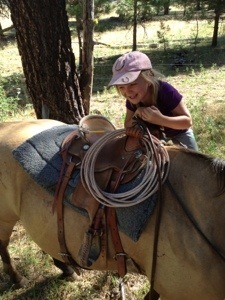 It was a hectic morning of swim lessons then rushing home to load horses and drive out to help the cowboys. A lot of bickering during that rushing around. 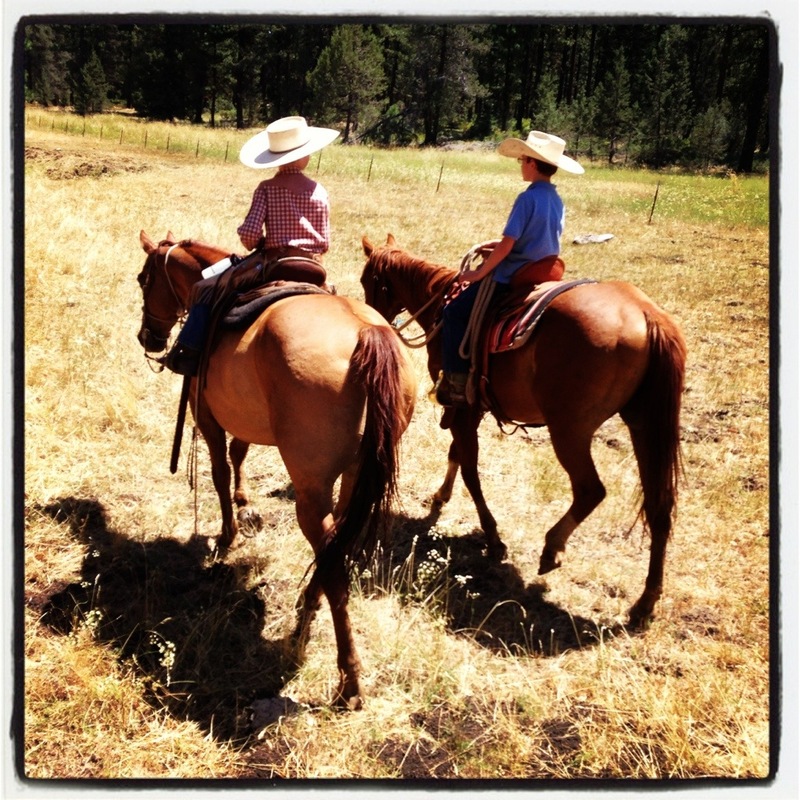 Then we climbed on our horses and spread out looking for cattle. Within moments these two were paired off, happily talking and laughing together. Playing and laughing and riding. So much better than arguing and bickering and fighting. I’m thankful for these small, yet magical, moments. 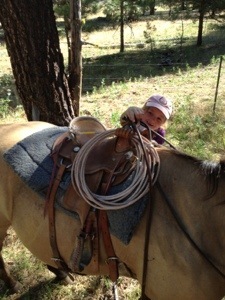 She has been practicing all summer and has finally mastered climbing into the saddle by herself. It takes a little time and a very patient horse (thanks Grandpa! 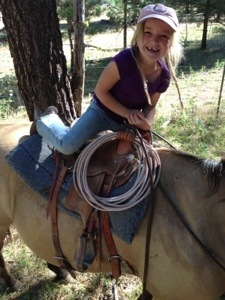 ), but the grin when her bottom hits the saddle is worth the wait! Catching horses before dawn is made more enjoyable under this amazing and peaceful sky. On the less peaceful side of these early mornings, is rolling the kids out of bed and send them shuffling out to the barn. 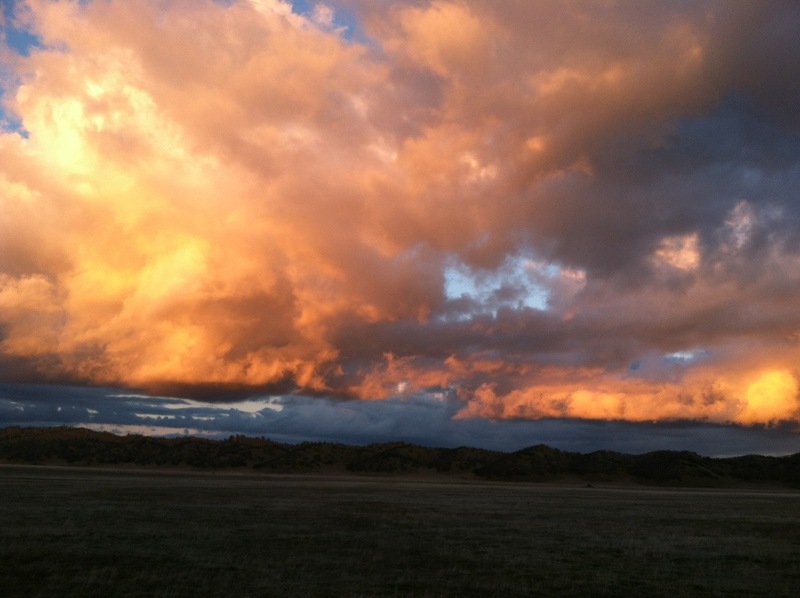 I noticed that each of them paused for a moment on their way to the barn to glance at the sky.